-Instruction will focus on individual player development. -Each player will learn what part of the foot used in dribbling, passing, and shooting as well player coordination and comfort with the ball through fun games and frequent ball touches. 2nd Annual to be held June 22nd.... More info. to come! The 2019 Summer TOPSoccer Clinic be held on Saturday, June 29th from 12:30-3:30pm at the Mike Eimers Training Facility located at 3001 Stober Ave, Louisville, KY 40213. Registration begins at 12pm. BRING YOUR FAVORITE ATHLETE OUT FOR A GREAT DAY OF SOCCER FUN!! Please contact Gemma Dattilo at gdattilo@bellsouth.net to sign up a participant or volunteer to be a buddy! Power soccer is the only competitive sport for power wheel chair athletes. The team in open to players aged 5 and above. If you can drive a power chair you can play soccer. For more information on how to get involved in Power Soccer, please contact Patricia Rudd. Check out more photos from our clinic on our Facebook Page. Check out more photos from our clinic with KY Refugee Ministries and Catholic Charities on our Facebook Page. Thanks to all members of our Louisville Soccer family who continuously strive to support our mission of fostering a love for the sport of soccer and developing young athletes of all backgrounds in their quest to maximize their individual potential. HOW YOU CAN HELP: Donate any of your gently used or new soccer equipment or apparel and we will provide those items to any families in need. 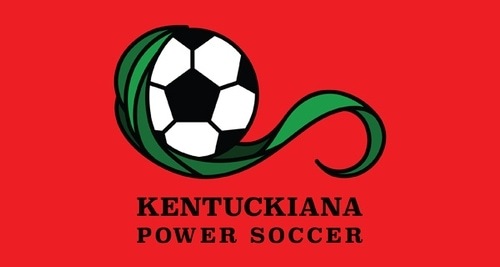 ITEM DROP-OFF & PICK-UP TIMES: You can pick-up or drop-off items at the Mike Eimers Training Facility (3001 Stober Ave) during any KASL leagues, team training or rentals or you can contact the Louisville Soccer Administrator for pick-up or drop-off times.